If you constantly email with students for a time to meet for office hours or arrange time for a series of class presentations, please remember there might be a better way of scheduling. If both sides know a general time to meet, just create a Calendar invitation which can get the item on the calendars for both you and the other person, if he or she accepts it. Even if the invitation is not accepted, there is a record on your calendar how many people (and who) have accepted your invitation. You can also add a notification which will remind both yourself and the other person about the event before it starts. Go to your course, find calendar for the course, click on “scheduler”, and then “create an appointment group”. You will then see this page, where you can name your appointment group, select the date and the time range, and specify if you’d divide the time range into equal slots of, say, 10 minutes. 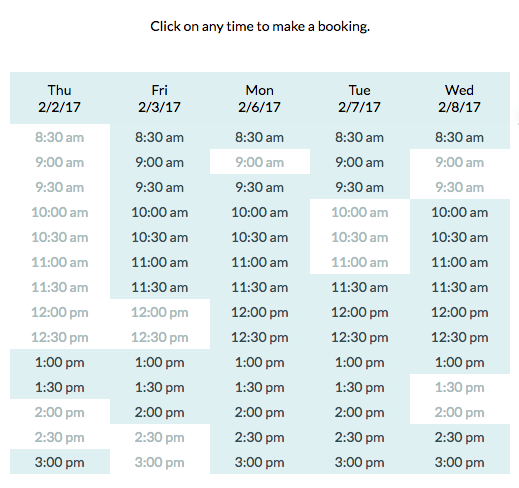 Click on “go” and Canvas will automatically create a series of time slots for your appointments. Remember to “save and publish”. 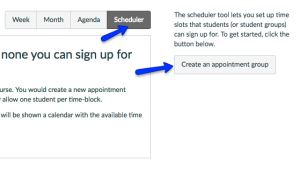 Now, you can tell students to reserve appointments using the scheduler tool. Ask them to go to your course, find the course calendar from the course home page, select “scheduler”, and then click on the name of the appointment group. They will then be able to click on available slots to make reservations. If they change their minds, they can click on the slot they reserved to “unreserve” it. 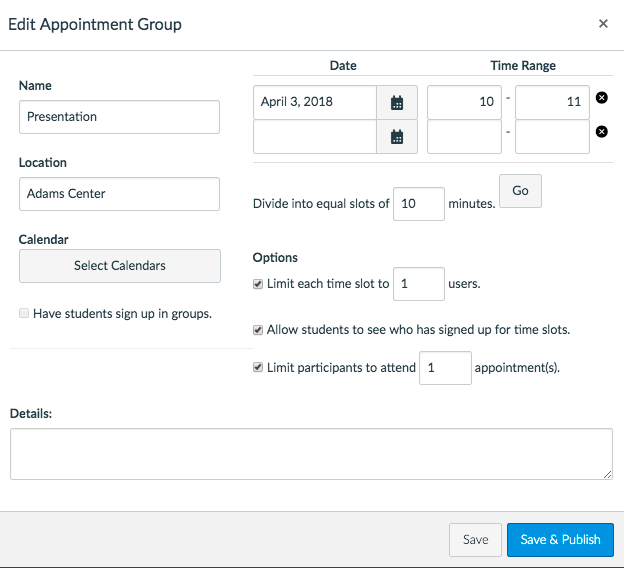 The Canvas scheduling tool only work for your courses in Canvas. 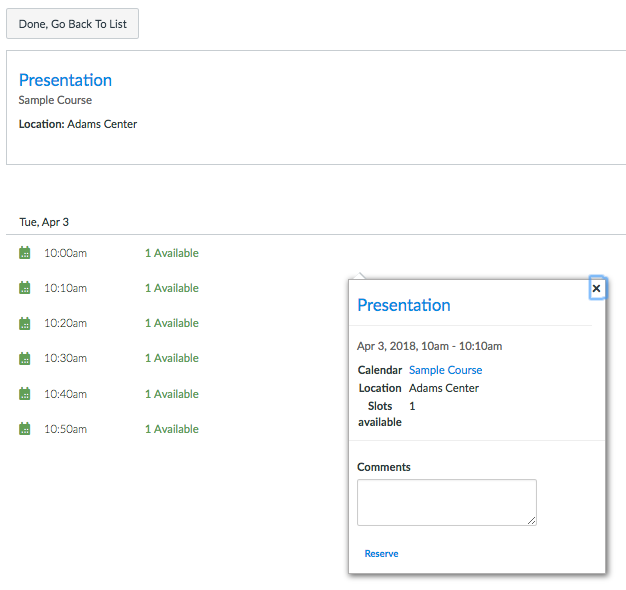 If you intend to show your availability to others not associated with your class or even ACU, you can use the “youcanbook.me” tool to create a public-facing scheduler for others to see your availability and book your time. This entry was posted in Canvas, tools by Berlin Fang. Bookmark the permalink.